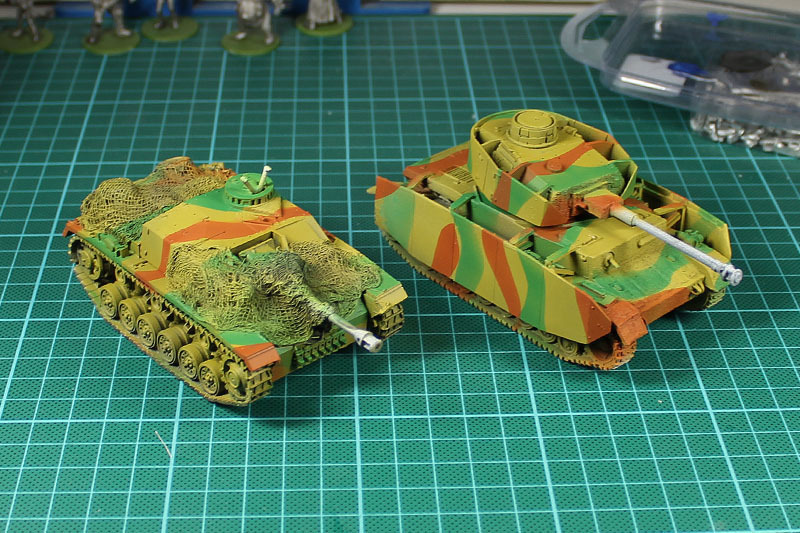 I used the weekend inhouse, due to bad weather and hay fever, and did some further painting on the tanks. The Vallejo Dunkelgelb tends to be a bit to dark, even for dark yellow. 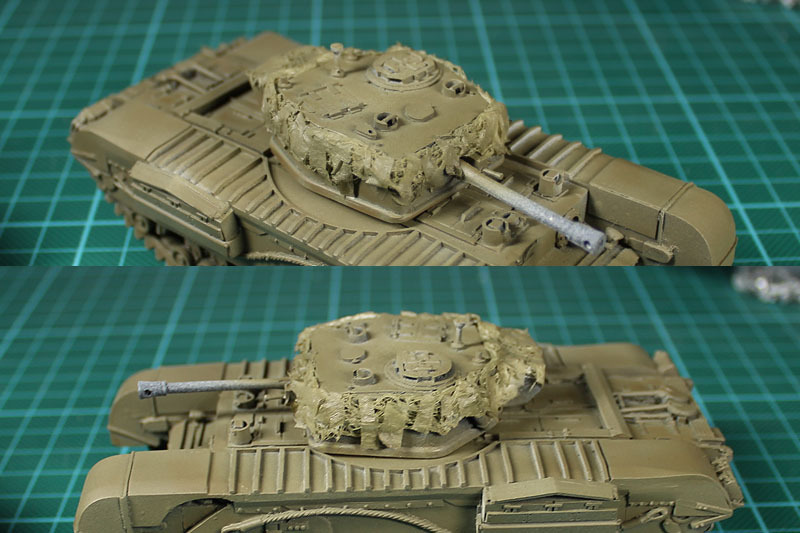 So i gave the tanks a new coat of the dunkelgelb but with a few drops of Pegasus Leinenweiss. Beside that i wasn't that happy with the first camo try. 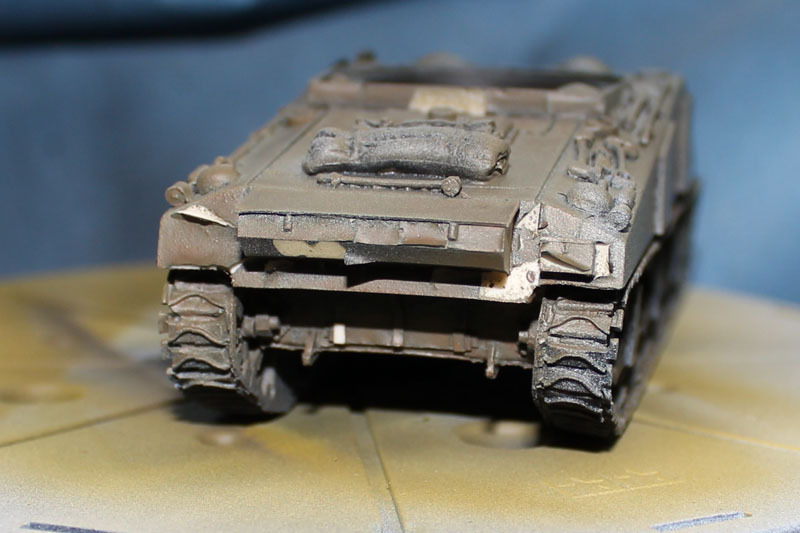 I had the idea to build a mission marker / larger terrain piece for Bolt Action. 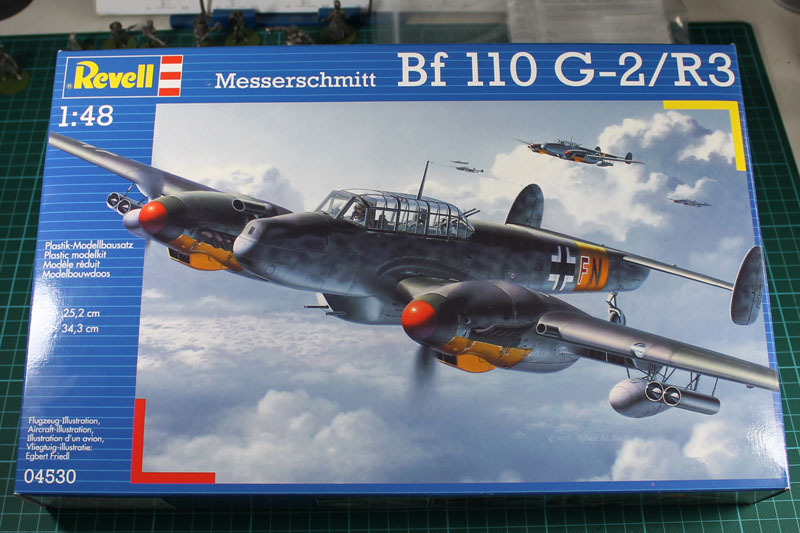 As it is nearly impossible to get 1:56 airplanes, i decided to go with 1:48 as it will be okay. There are no other planes on the board and it is just terrain so the bigger size won't be a big deal. 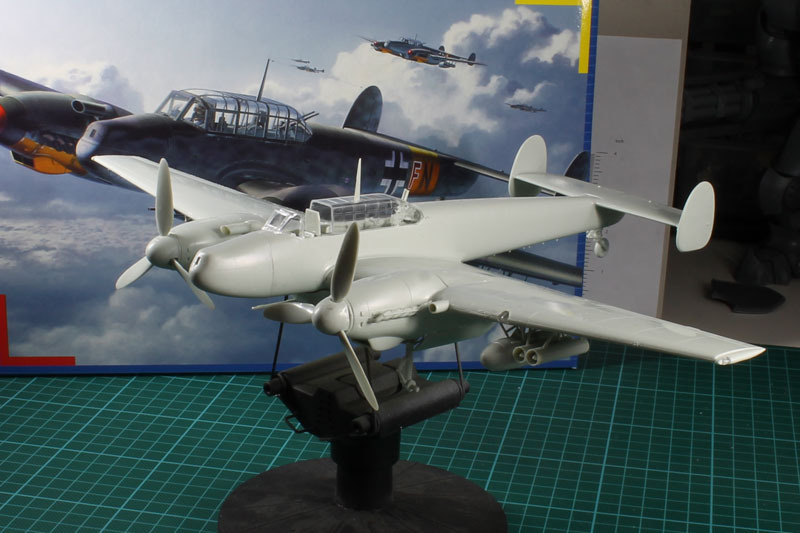 It is Messerschmitt Bf 110 by Revell and 35 by 25 cm large. I will chop it in 3 parts and build a base for the wrack. Kinda strange to build something to tear it apart later. But as the model quality is ... lets call it "moderate", its not a pity. 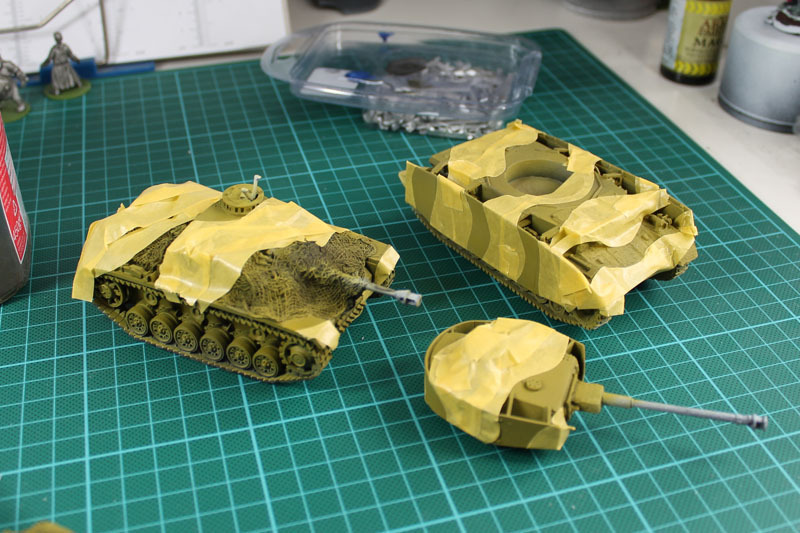 I seem to be out of luck with the Waffenkammer kits.Even after another bath in soap-water, with an additional treatment with Windex, grease solvent and a Easy Green bath the d-i-y-store brand primer won't stick. I sent Jeff from Die Waffenkammer an E-Mail and he replied promptly. Due to the high density of the resin he advices to use plastic primer or enamel based primer (which he clearly states on his homepage ... i should have read that ...). I ordered a can today and will keep you posted about the results. 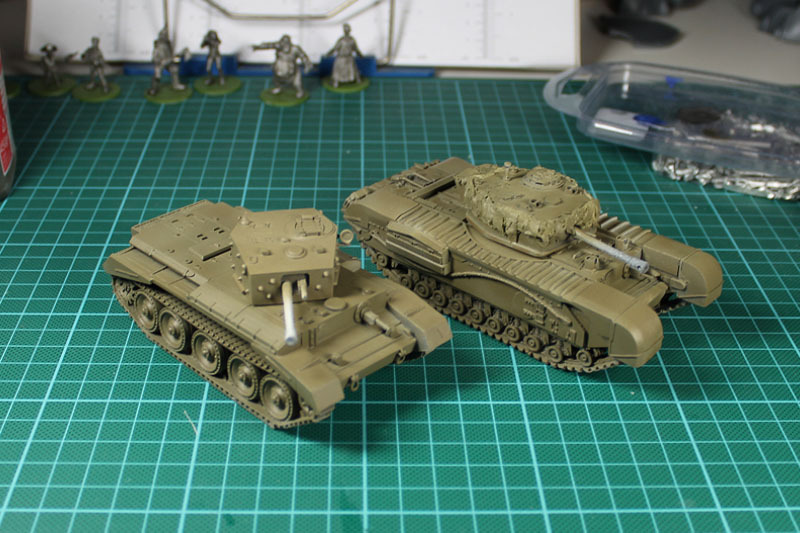 I though long about the proper paint for the british tanks. 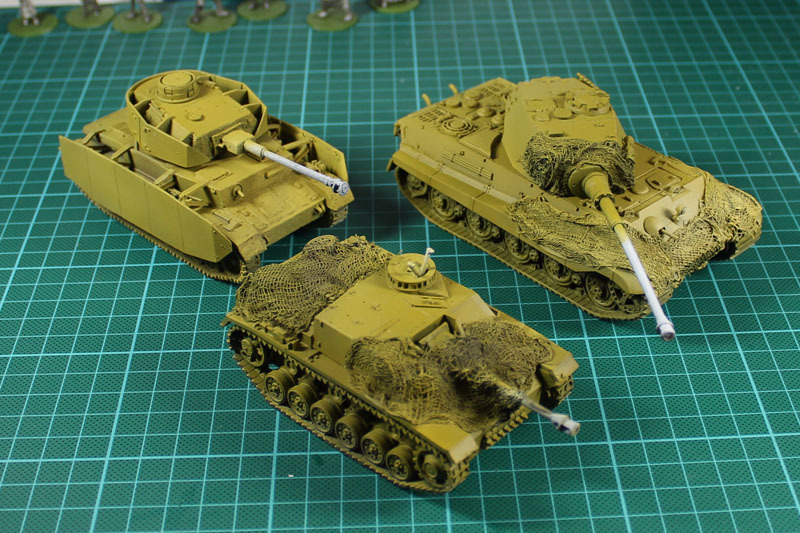 As there seem to be larger discussions about the correct color, i went for the olive drab as it was used in the later years of world war 2, due to the lend and lease program. 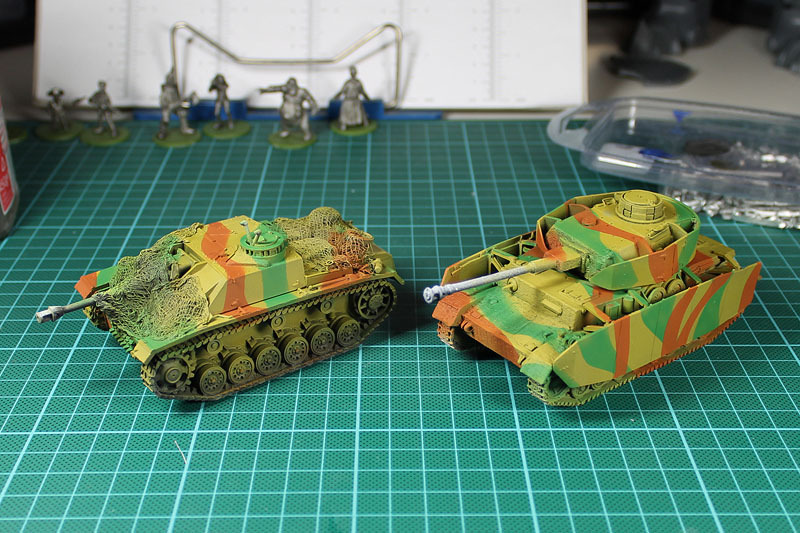 Originally i was going for a camo painting, but as most of the british tanks in western europe didn't had one, i went for something different. 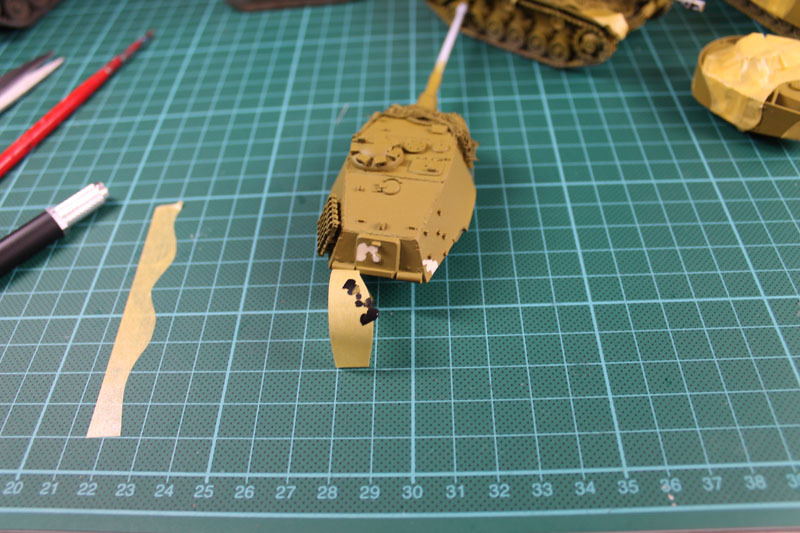 I tried making my own hessian tape with the same technique as the StuG and Tiger II camo netting, but using small stripes of tissue for the tape stripes.